You've been checking out Panama City Beach condos for sale, and you've found a condo you love. Once you start the purchasing process, you're going to be faced with a lot of documents. Here are some of the mandatory and recommended documents you need to understand before you sign. Articles of incorporation. Some states require Homeowners Associations (HOAs) to be incorporated. If you decide to buy a condo in Panama City Beach or anywhere, you'll receive the articles of incorporation, which tend to be boilerplate documents that explain how the HOA functions. Bylaws. The HOA bylaws provide the procedures under which the HOA operates, including rules for HOA meetings, elections, and assessments. Take a close look at the bylaws if you plan to make any physical alterations to your condo. Covenants, conditions and restrictions. 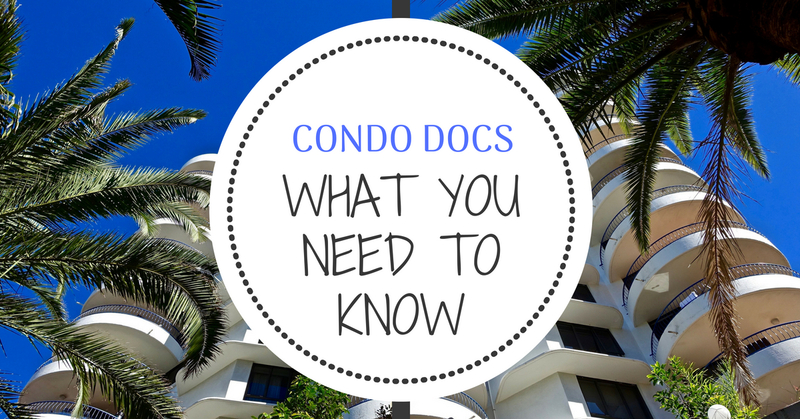 These documents must be provided before you buy a condo, and they're incredibly important. You might find out, for instance, that your large dog or your pet snake aren't welcome. There may be restrictions on how you can use your condo (subleasing, for instance). You'll also learn a lot from these documents about what maintenance the HOA covers and what you must pay for, as well as about how the HOA tends to spend its budget. Pay attention as well to the issue of who has the right to change the covenants, conditions, and restrictions: Is it the HOA Board of Directors, or do all the homeowners get to be part of the decision? HOA yearly budgets. HOAs are sometimes reluctant to turn over budgets, but they're valuable documents to review. Check to see if the HOA has enough money in its reserve fund to handle upcoming maintenance and repairs. Check the line items to see if the HOA is meeting its financial obligations comfortably. For example, if your HOA pays for the building's water, but the budget line item for water shows that the year's budget has been depleted by July, you can expect a hike in condo fees very soon. Minutes of HOA meetings. States don't typically require anyone selling a condo to turn over minutes of the HOA meetings, but they can be very illuminating documents. Reading through past minutes can let you know if your future neighbors get along well and what it would be like to live with them on the other side of your wall. You can also learn about any upcoming planned expenditures and see whether the HOA is well-run. Consider asking for copies of recent minutes when you're checking out a possible condo purchase. Schedule of fees.Your real estate agent will probably provide you with information on your monthly condo fee before you even make an offer on a property, but make sure you understand the numbers. Some condo fees cover utilities, while others do not. Also make sure that the condo owner from whom you're purchasing isn't delinquent in paying any fees. In most states, you have a very limited time to terminate a sales contract — typically three to five days — so take a close look at all the condo documents when you're in the middle of a condo sale. Your Panama City Beach real estate agent, Chad Miller, can walk you through the entire process and explain all these documents in further detail.